Compatible with most label printing software programs. 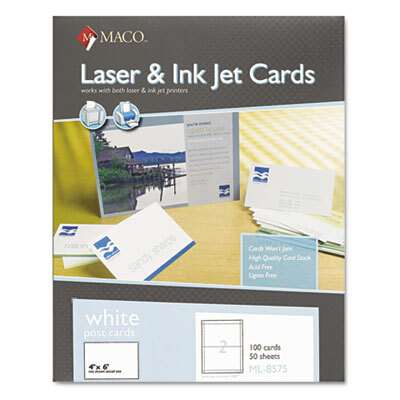 Create your own high-impact designs on this premium-quality card stock. Micro-perforated for easy separation and guaranteed perfect edges every time. Cards won't jam. For use on your laser and inkjet printers. Compatible with most label printing software programs. Acid-free and lignin-free.